Rod Knutson was born in 1938 in Billings, Montana. He enlisted in the U.S. Marine Corps Reserve on January 7, 1957, and was honorably discharged to enlist in the U.S. Navy Reserve on June 6, 1962. 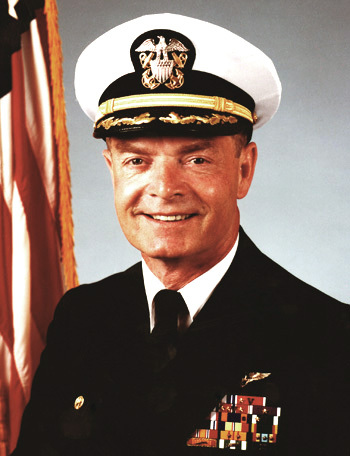 Knutson was commissioned through the Naval School of Pre-flight in February 1963, and became a Naval Flight Officer. After completing NFO School, Advanced Navigator School, and Radar Intercept Officer School, LT Knutson began flying as a RIO on the F-4B Phantom II with VF-84 in June 1964. On October 17, 1965, Knutson was forced to eject over North Vietnam and was taken as a Prisoner of War. After spending 2,675 days in captivity, he was released during Operation Homecoming on February 12, 1973. After hospitalization, Knutson entered flight training and was designated a Naval Aviator in May 1975. He flew F-4 Phantoms with VF-121 at NAS Miramar, California, from May 1975 to March 1976, and with VF-191 at NAS Miramar and on the USS Coral Sea from March 1976 to March 1978. Knutson next served as Commanding Officer of Enlisted Personnel and Weapons Test Pilot flying A-4 Skyhawks at the Naval Weapons Center at China Lake, California, from April 1978 to December 1979. From January 1980 to July 1982, he served as Commanding Officer of VF-126 at NAS Miramar. His next assignment after Ships Training was as Navigator on USS Ranger from February 1983 to December 1984. After more training for Ship Commanding Officer, he served as Commanding Officer of USS Mobile from August 1985 to February 1987. 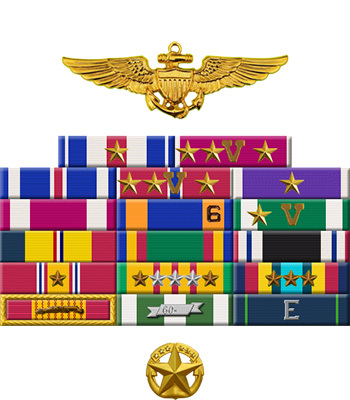 Captain Knutson was Commander of Amphibious Squadron ONE from March 1987 to October 1988, Deputy Director of Carrier and Air Station Programs Division on the Staff of the Assistant Chief of Naval Operations from November 1988 to June 1990, and Commander of Naval Training Center San Diego, California, from July 1990 to June 1993. He retired from the Navy on February 28, 1994. Capt Knutson accumulated over 2,500 flying hours during his Navy career, primarily in the F-4 Phantom and A-4 Skyhawk. Rod married Rishelle Riedel in May 1974 and they have two daughters-Kalee and Kamee. For gallantry and intrepidity in action against the enemy in North Vietnam on 17 October 1965. Shortly after parachuting onto enemy soil, he was surrounded by village militia armed with rifles. In the face of great personal risk, he elected to fight rather than surrender. Defending himself with his service revolver, he shot at his rifle-armed adversaries, inflicting two casualties prior to being overwhelmed by their superior numbers. By his daring actions, extraordinary courage, and aggressiveness in the face of the enemy, he reflected great credit upon himself and upheld the highest traditions of the Naval Service and the United States Armed Forces.